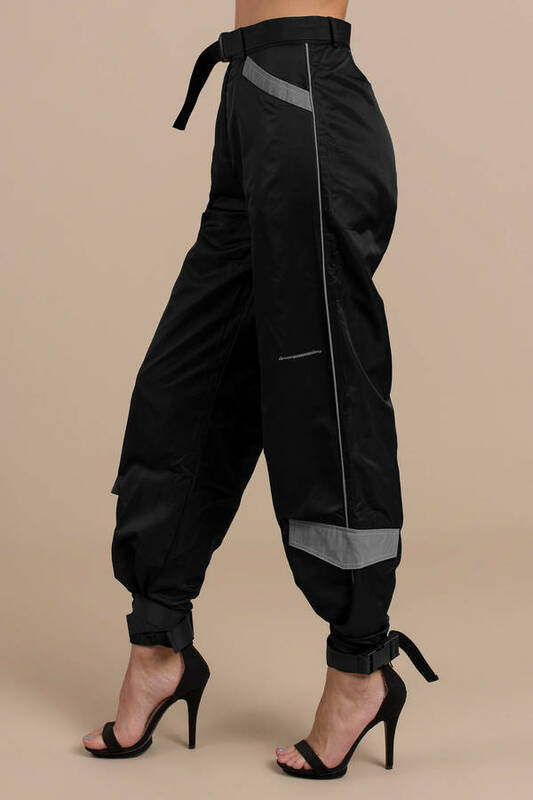 Check out Tobi's Neptune Pant The Neptune Black Pant from I.Am.Gia features a high-waisted fit, belt, reflective panels, and adjustable length at leg opening on a polyester weave! Pair with the Neptune Jacket to complete the look! 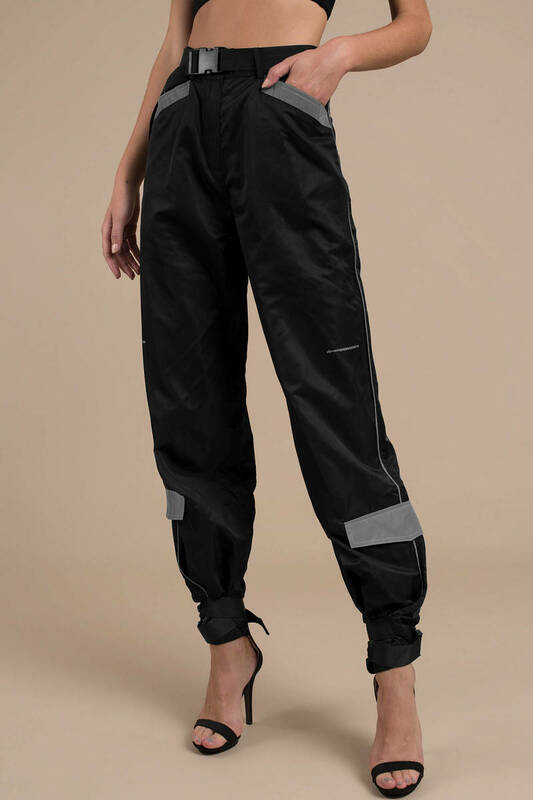 The Neptune Black Pant from I.Am.Gia features a high-waisted fit, belt, reflective panels, and adjustable length at leg opening on a polyester weave! 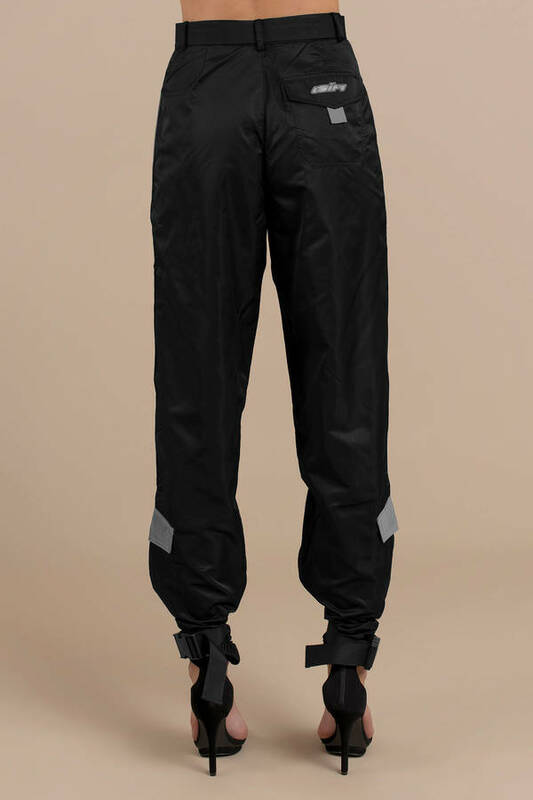 Pair with the Neptune Jacket to complete the look!